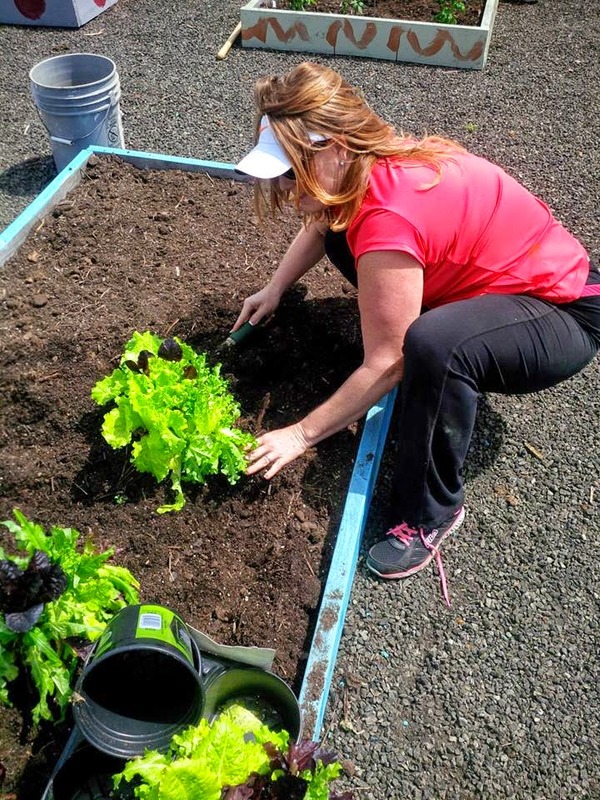 April 5, was “PLANTING DAY”, for the Task Force and its volunteers as they plant vegetables in the 50 raised beds the group has constructed over the past two weeks. 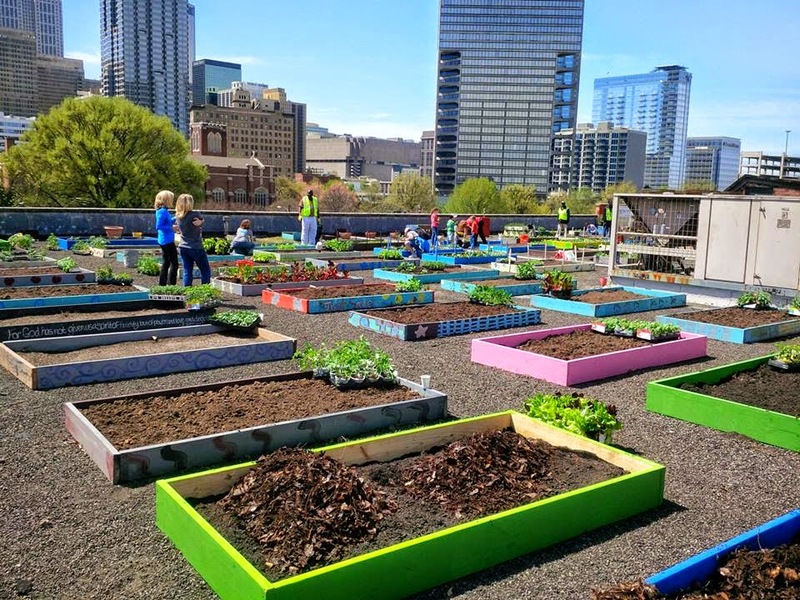 “The purpose of the garden is to provide a home-grown and sustainable source of nutrition and food for the homeless community”, says Anita Beaty. 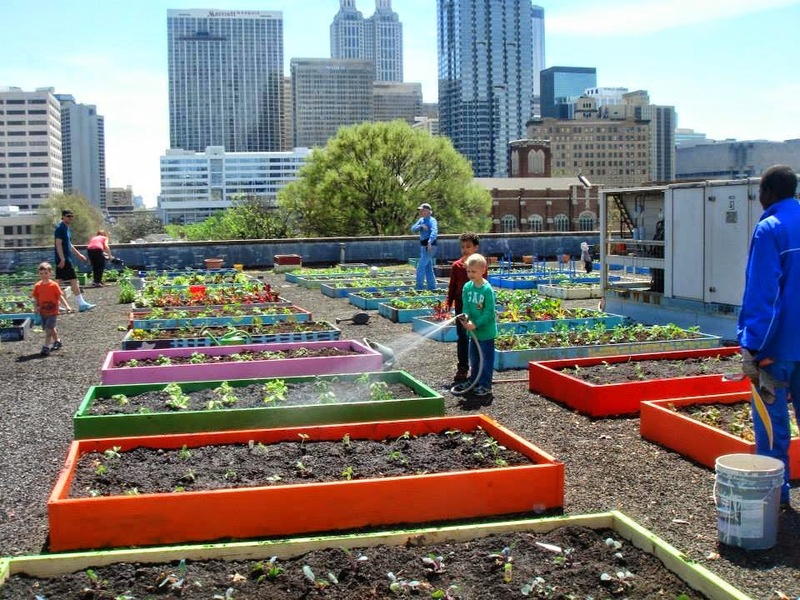 The 95,000 square foot Homeless Shelter located on the corners of Peachtree & Pines Streets is the largest shelter space in the southeastern US providing shelter and services to an average of 750 men, women, and children on a daily basis. The shelter is a non-profit 501©3 organization. Over the past two weeks the shelter has received loads of donated compost and topsoil, all of which was bucket brigaded up 4 flights of stairs. 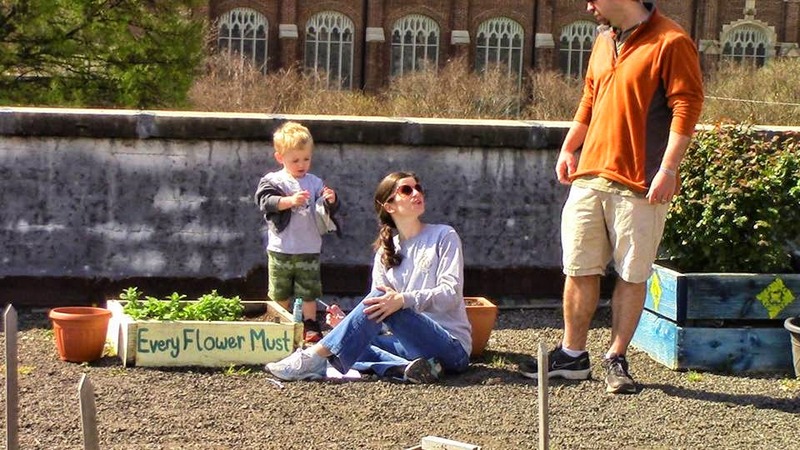 Volunteers will use the 120 pieces of donated lumber to make 40 raised planting beds (see photos below of the beds already built and producing seedlings). Other smaller pre-fab planting beds were also donated.